Since our founding in 1969, The National Legal Research Group has been assisting our fellow attorneys with quality legal research and writing services. If you need help with a case from expert attorneys, we are here for you. We have assisted over 50,000 attorneys with over 165,000 cases over the years, and we can help you too. We commonly work with solo practitioners, corporate counsel, large firms, and more. Our attorneys are specialized by area of law and have worked cases nationwide, including cases in West Virginia. Contact our legal research team today to discuss your case. B.A., Northwestern University, 1969. M.B.A., West Virginia University, 1978. J.D., University of Pittsburgh Law School, 1973, where Tim was on the Law Review. Member, Louisiana and West Virginia Bars. Tim has trial and general litigation experience from his days in private practice and in the United States Marine Corps prior to joining NLRG in 1980. 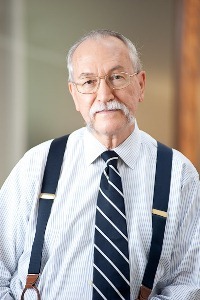 He specializes in Antitrust, Intellectual Property, Commercial Law, Tax Law, and Securities. Not only are our attorneys experienced legal researchers, we are also expert legal writers. 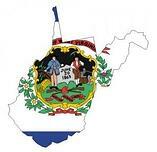 Our team of attorneys has prepared briefs in all state and federal courts, including West Virginia. If you find yourself needing additional legal writing to help win a case, submit your information using the form on this page so our team can evaluate your options. The National Legal Research group can also provide attorney-clients with appellate brief writing services for Federal Courts of Appeal, West Virginia Courts of Appeal, the West Virginia Supreme Court, and the United States Supreme Court. Additionally, we offer appellate brief compliance review and filing through The Lex Group. While it is important to your case, the legal document review process can take up a substantial amount of time. To help expedite this process, our team of attorneys can assist you with legal document review. This can help you better meet your deadlines and more accurately predict your costs upfront. We deliver the highest quality of legal research for our clients. NLRG provides affordable, quality legal research and writing, on an "as needed" basis. We have helped our attorney-clients with pleadings in every state and federal court since we were founded in 1969, including West Virginia. Services include motions to strike, counterclaims and replies, motions for summary judgement and responses thereto, motion in limine, notice of removal and motions to remand, and more. In cases ranging from complex multidistrict litigation to relatively simple state court proceedings, the National Legal Research Group's attorneys have assisted our attorney-clients with the following discovery-related services: deposition summaries, motions to compel discovery, interrogatories, requests for production, requests for admissions, and preparation for depositions. In some cases, a written product is not required. To accommodate smaller projects, we provide solutions through telephone and email reports. This allows our attorney-clients the same access to our extensive legal research expertise and analysis of legal issues, but for a lower overall cost. Our attorneys average over 20 years of experience and have dealt with a wide range of cases. We can provide our attorney-clients with objective legal memoranda for case evaluation, trial and appellate preparation, strategic planning, or any other purpose prior to or in support of litigation or transactional analysis. We can assist with Objective Memoranda, Advocacy Memorandum, Adversarial Memoranda, or Memoranda in Support of Motions. Contact NLRG today to see how we can help with your case. The National Legal Research Group takes great pride in our high-quality legal research and writing services that are efficient, effective, and affordable. Our services are by attorneys, for attorneys, so you can be assured your work is being completed by an attorney with many years of experience and specialized by area of law. "I can't think of anything that could have been better. Specifically addressed issues presented in a concise, easy to understand fashion. You did an excellent job of returning a quality work product to me in a timely fashion with the estimated budget. Thanks!" "Jim Witt was pleasant to talk to and responsive to my concerns." "Jim Witt is excellent. I enjoy working with him."